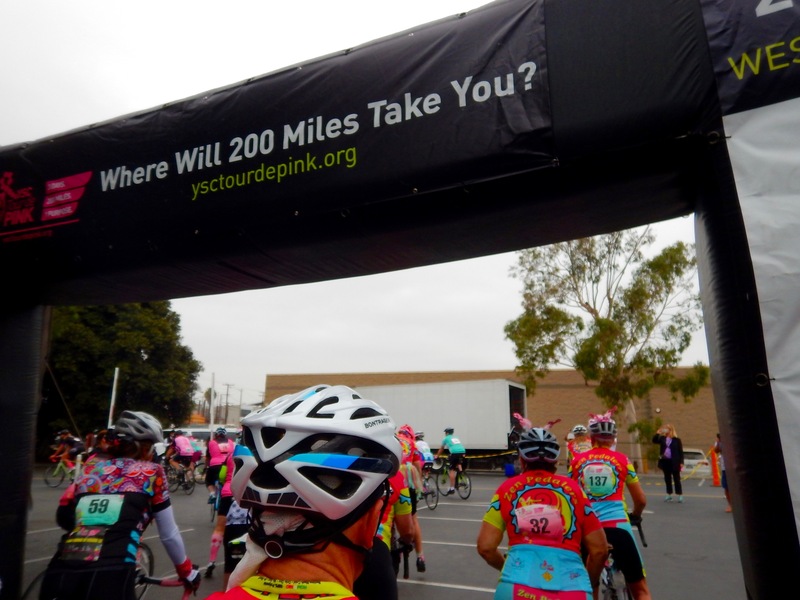 When we realized we would be in SoCal for the YSC Tour de Pink we tried to work out the logistics of how we could participate. 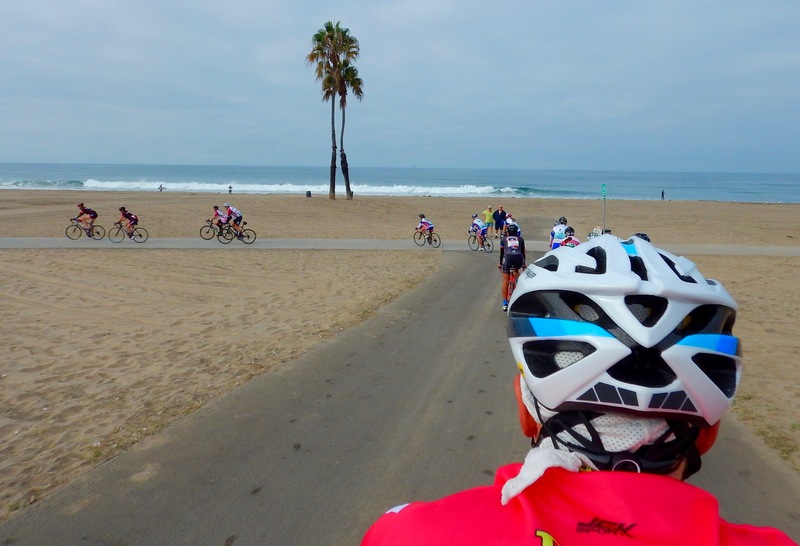 It’s a three-day event with a one-day option, and the one-day ride ends in Newport Beach, just a few miles from our west coast home base. The tour would provide a shuttle back to our starting point so things started to fall into place. 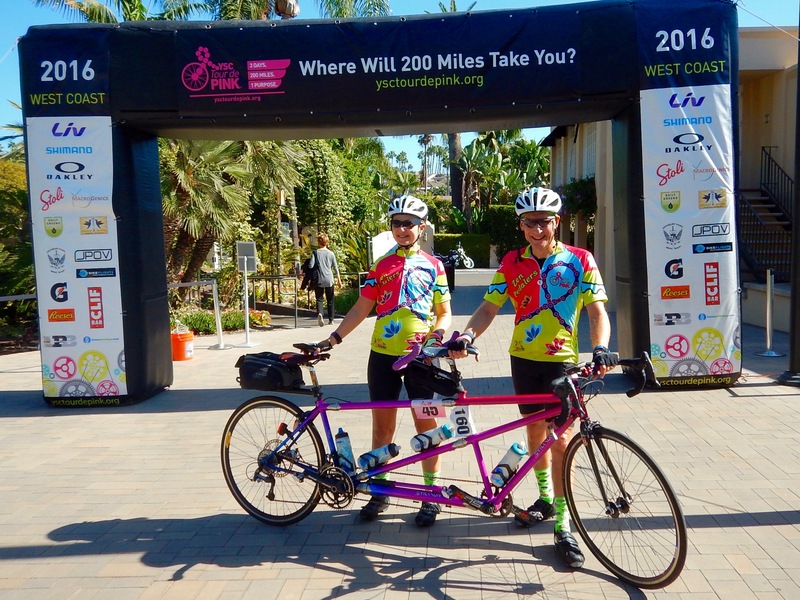 A trailer hitch installed on the car, a craig’s list purchase of a Yakima bike rack and voila, we are members of the Zen Pedalers and we are raising funds to help young women with breast cancer. It was just that easy! 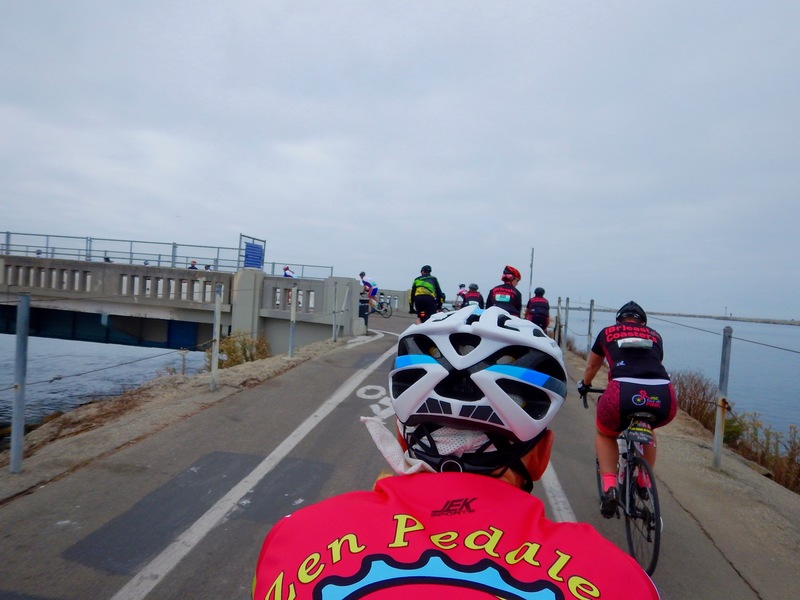 We joined about 150 other people and rode 60 miles from Culver City to Newport Beach. The route was mostly flat, but had one climb just north of Long Beach. We’ve been looking at that hill for years, but never climbed it until this ride. Much of the route was along the beach and on bike paths. We were each required to raise 350 dollars as one day riders and each raised almost twice that total. What a fantastic way to start our month of training in California. Thanks to all of our generous donors, we truly appreciate your support. 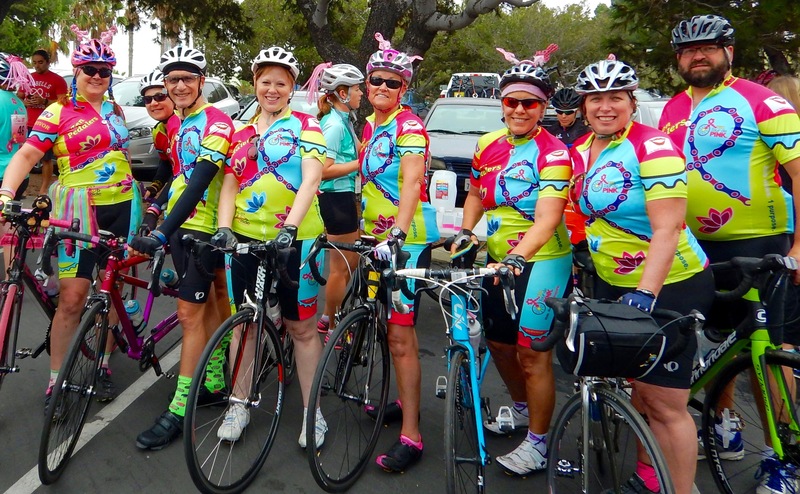 It was great having you as a part of Zen Pedalers this year. Hope you can make it again next year. 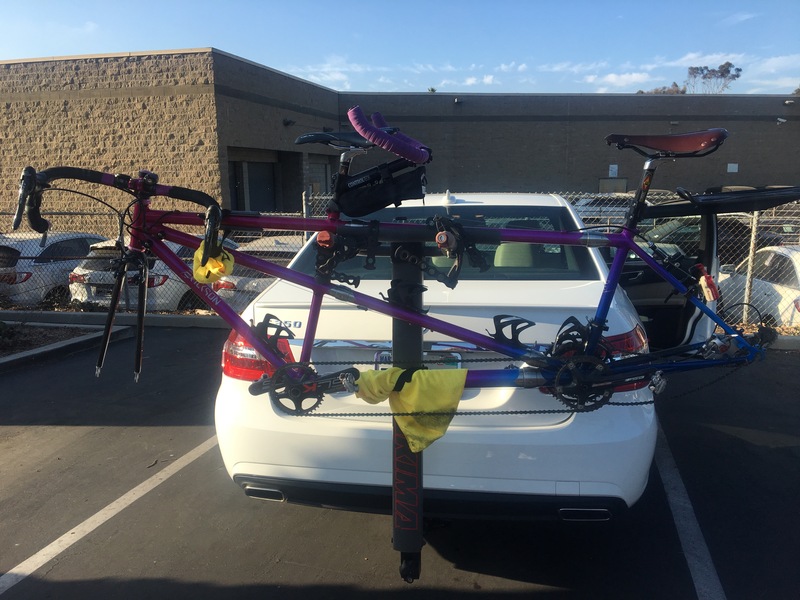 I’ll be on the tandem with my hubby!